This cabbage was truly massive. I hope the photos are evidence of that, even slightly. Last Saturday's farmers market was rainy and thus, easy to navigate. We found everything we needed within 20 minutes and were leaving the market when we passed Persephone Farm. Their asparagus initially caught my eye but it was the several rows of giant cabbages that drew me completely into the tent. I picked one up and commented that it was larger than most soccer balls. Justin picked up another that resembled a huge brussels sprout (like a brussels sprout for a giant). I couldn't NOT buy a cabbage that resembled a large brussels sprout, so we added it to our bag of food, along with a fresh bunch of asparagus. 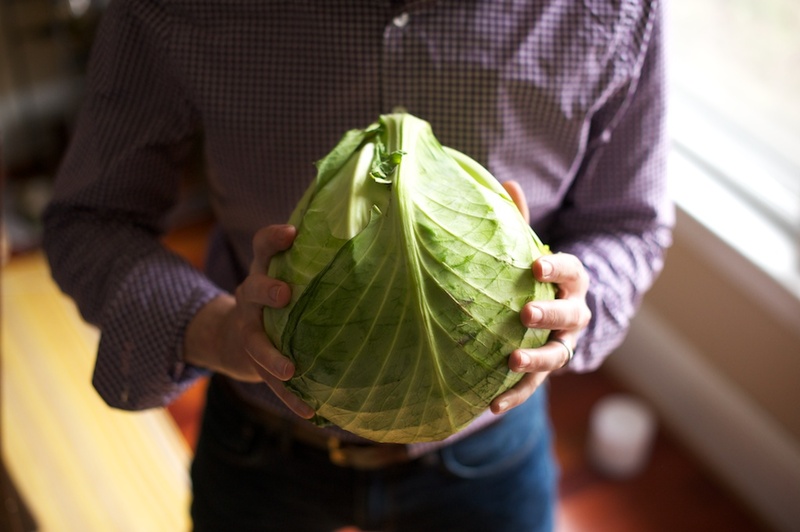 This week, I searched for recipes that would incorporate this 6 pound cabbage. I felt that this brassica demanded more thought than just slicing it up and stir frying it. 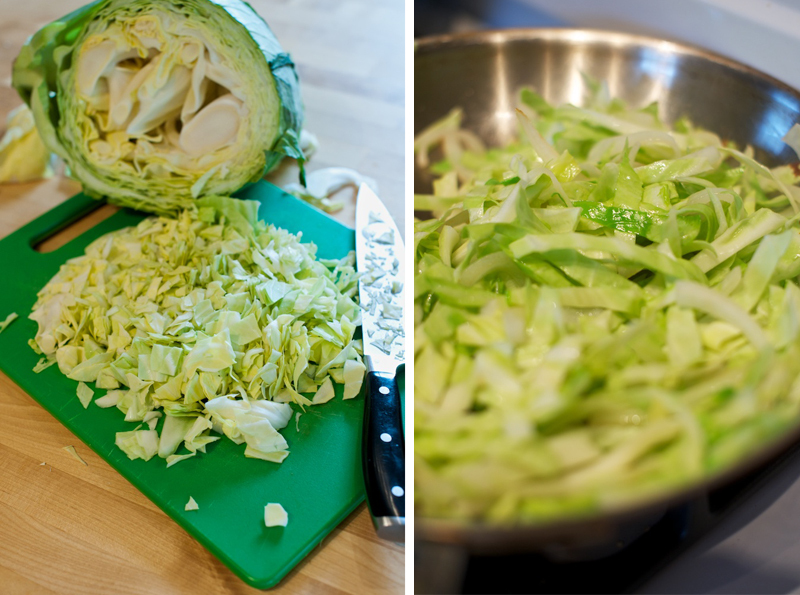 I planned two meals around the cabbage, both inspired from New York Times recipes. 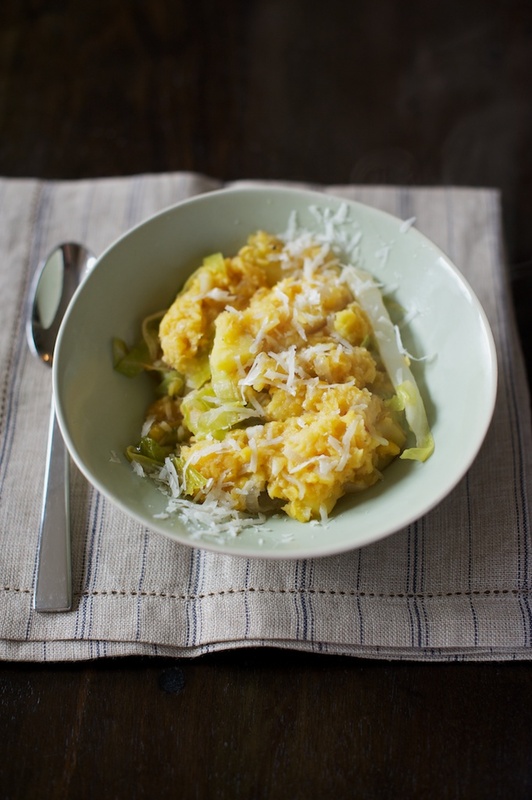 The first was a simple cabbage and lentil stew, its flavors enhanced through slow simmering and a generous dose of Pecorino. I partially prepared the second meal while simmering the soup. After slicing the remaining cabbage apart into small pieces and sprinkling the the pieces with butter, I roasted the cabbage at high heat for 50 minutes, coaxing out that comforting cabbage aroma while roasting the pieces to a near char. As much as I wanted to immediately eat these tasty charred bits, I demonstrated admirable restraint and let them cool to room temperature. I stored them in a bowl in the refrigerator over night. These tiny charred pieces were destined for dinner the following day, as part of a Hungarian cabbage strudel. I associate strudel with sweet Austrian desserts like apple strudel, but strudel is actually a traditional pastry in the whole area that used to belong to the Austro-Hungarian empire. When the Turks occupied Hungary, the Hungarians were introduced to the strudel. They developed multiple dishes around the pastry, incorporating ingredients that they had in abundance, such as cabbage. This strudel has three ingredients: cabbage, butter, and phyllo dough. Other Hungarian strudel recipes I've encountered lean in the sweeter and creamier direction, adding cream cheese or sour cream to the pastry. 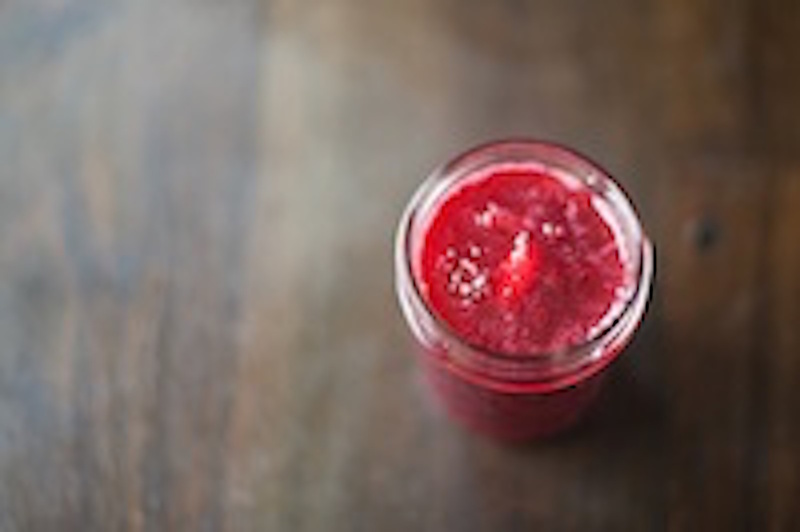 This recipe has zero pizazz; it is what it is. And if you are generous with your coats of melted butter you'll find that you don't crave any additional spices or embellishments. 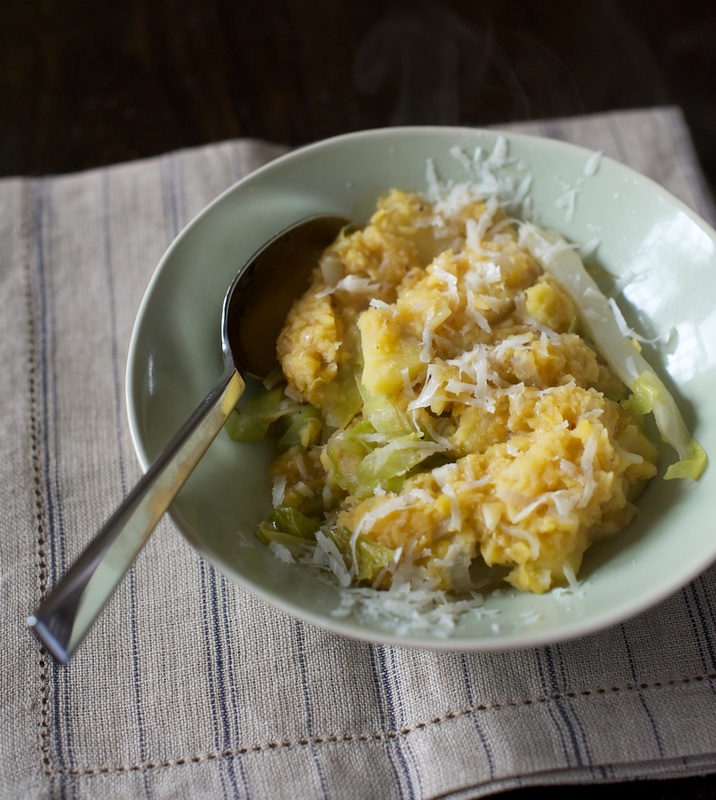 The crispy cabbage and the papery, buttery dough are all you need. 1. Heat 1 tablespoon of the olive oil in a 3-quart saucepan or dutch oven over medium heat. 2. Add the chopped half of the onion and cook, stirring often, until tender, about 5 minutes. Add 2 of the garlic cloves and cook for 30 seconds to a minute. 3. Add the lentils, water, chile flakes, and bay leaf, and bring to a simmer. Reduce the heat, cover and simmer over low heat for 15 minutes. 4. Then, add 1 teaspoon salt and the potatoes and continue to simmer gently for 30 minutes, until the lentils and potatoes are tender. Add more salt and freshly ground pepper to taste. 5. While the lentils are simmering, heat the remaining tablespoon of olive oil over medium heat and add the sliced onion. Cook, stirring often, until tender, about 5 minutes. Add 1/2 teaspoon salt and the garlic and stir together for about 1 minute. 6. Add the cabbage and turn the heat up to medium-high. Cook, stirring, until the cabbage begins to wilt. 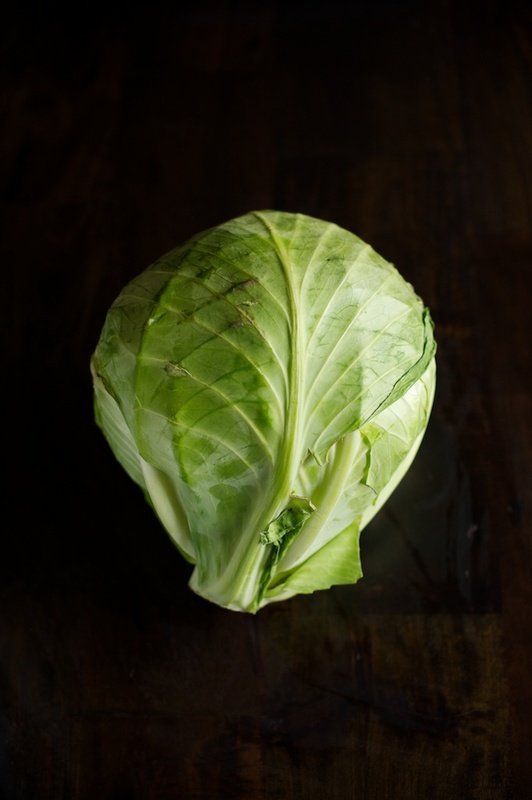 Add 1/4 cup water, turn the heat down to medium, cover and simmer 10 minutes, or until the cabbage is tender and sweet, stirring from time to time. Add salt and freshly ground pepper to taste. 7. Spread the cabbage over the bottom of the pan in an even layer. Top with the lentils and potatoes. Ladle into wide soup bowls. Sprinkle with Pecorino. Enjoy! 1. Heat oven to 350 degrees. Lightly butter a large baking pan and spread cabbage evenly in pan. Sprinkle with salt and pepper. Cut up 1 stick (4 oz) butter into small pieces, and sprinkle over cabbage. Cover with foil, sealing edges. Bake until tender and golden, 45 minutes to 60 minutes, rotating halfway through and lifting the foil to stir the cabbage around. 2. 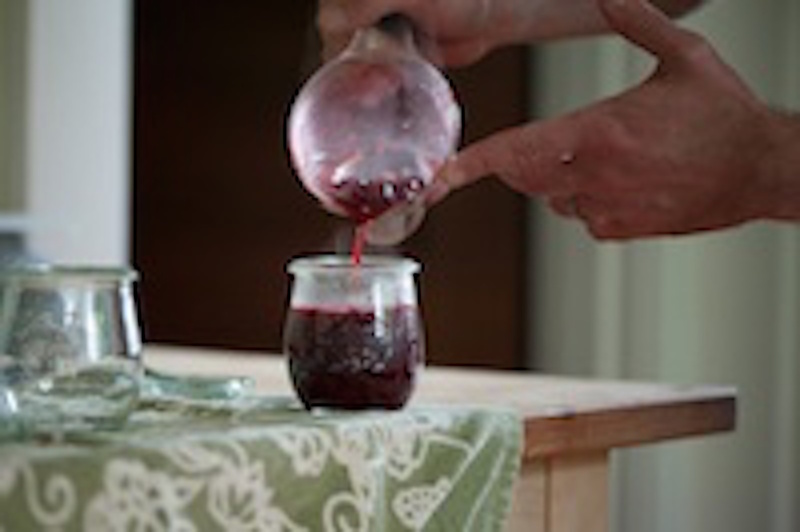 Remove from heat, uncover and allow to cool to room temperature. (If you want, you can store it overnight in the refrigerator, like I did). 3. Heat the oven to 400 degrees. In a small saucepan, melt remaining 4 ounces butter. Place a sheet of parchment paper on a work surface with the narrow end closest to you and top with a sheet of phyllo dough. Brush up and down with a little butter. Top with another sheet of phyllo, and brush again with butter. Repeat until all 10 sheets are buttered and stacked. 4. 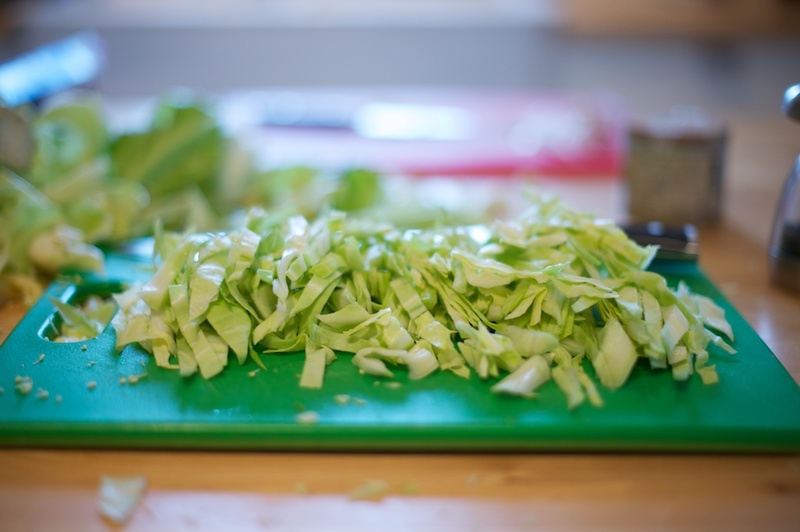 Then, arrange the cabbage on the top sheet, at the end closest to you, in a thick layer 2 inches deep. Spread evenly to side edges. 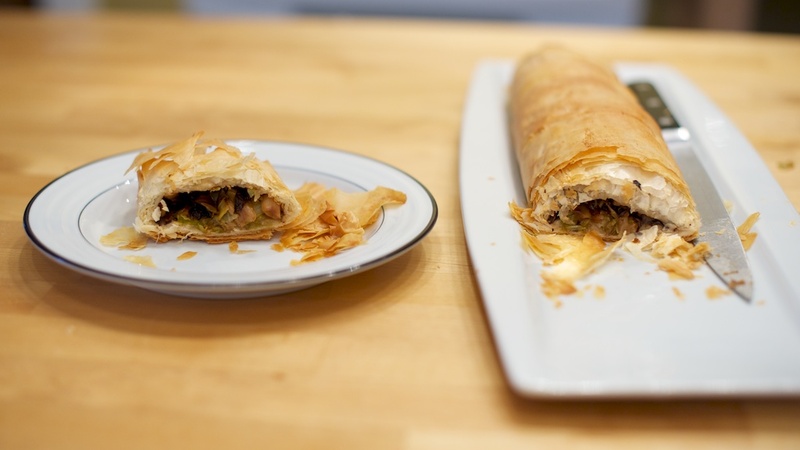 With the help of the parchment paper, roll the phyllo starting at the end with the cabbage. 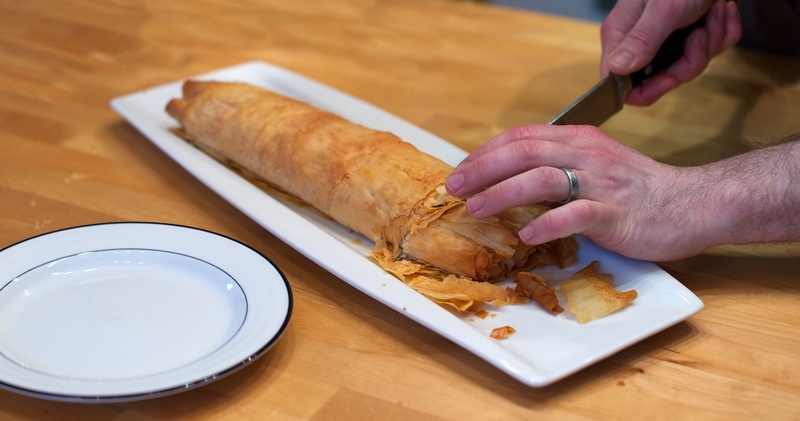 As you work, adjust parchment paper so that phyllo is rolled without the paper. Brush the top of roll with butter, place on baking sheet and bake until golden, about 40 minutes. Enjoy!